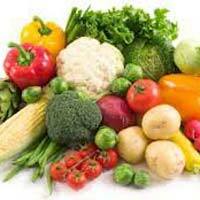 Our company is a distinguished Supplier and Exporter of Fresh Vegetables from Tamil Nadu. To preserve the nutritional value of our Fresh Vegetables, they are kept in hygienic conditions, and are regularly checked for freshness. We procure Farm Fresh Vegetables only from most seasoned farmers. We can capable of processing bulk orders of Fresh Vegetables and are known for providing them at extremely reasonable rates.